It was full of feelings like no others. Standing in the wings. Teary eyes from the music of the Grand Pas. A mind focused so intently that it felt as if it might burst. 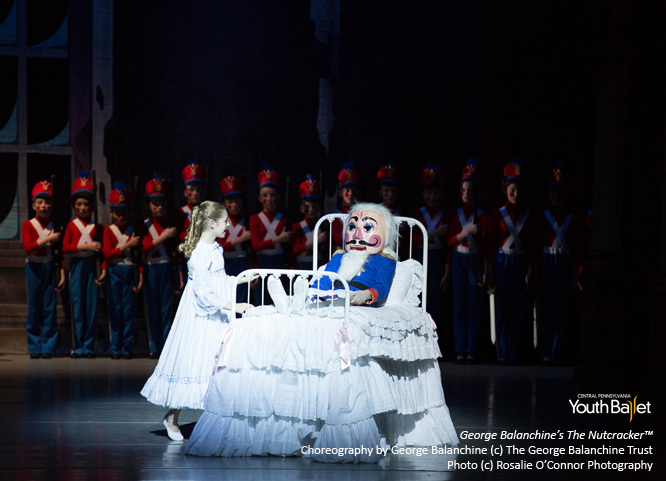 Nutcracker was a time that came expected, but still surged into the unknown. Being a little eight-year-old staring up at the casting lists with hopes of party curls, fancy dresses and graceful skipping, only to see that I would be wearing a foot-tall hat over a high bun and marching in trousers felt like a massive letdown; but only initially. I think I thought that being a certain role would make the magic happen, would make me feel like I had finally made IT. I came to experience a magnificent fight scene. I remember flinching and containing a squeal when the giant Mouse King came bounding towards me as I held my wooden gun with quivering arms. I remember standing among my fellow soldiers in the wings and moving with vigor onto the stage to win yet another battle. I recall late nights in the car driving to performances and my heart swelling with a sense of great pride and responsibility. I overflowed with bliss in being part of making this layered story brimming with imagination develop right before the eyes of thousands night after night. You don’t need to have a role you are in love with to fall in love with Nutcracker — the kind of magic only dance can create. Seeing some of the “secrets behind the magic” will also not keep you from believing it. I remember thinking it was so tragic that the Sugarplum Fairy crashes back into the chaos of a dressing room, only to strip off her makeup and go home, instead of continuing on graciously dictating her Land of Sweets. And that the lovely living room Christmas tree did not triple in size because of the mysterious Drosselmeier, but some men in black shirts. That the candy canes may not actually have felt like smiling, the snowflakes were indeed quite balmy, or that there was a Fritz in real life who maybe didn’t even have siblings to be punished for pushing around. It is the constant, unwavering flow of passion and tremendous self-sacrifice from every individual part of the performance that gives Nutcracker a quality like no other. The moments of awe when you see another dancer hold her balance just a few seconds longer than usual. Goosebumps that spread up your arms when the Cavalier extends his hand to his Sugarplum. It is the moment you blink at the sound of a crashing cymbal and realize every worry and thought had momentarily left you as you have been so lost in the mystery of the Arabian’s solo. It is giggling to yourself childishly each time the little Prince reenacts his courage in the face of the Mouse King. It is the fact that Nutcracker exhausts every dancer and stagehand so much, yet fills every person involved with an inexplicable flow of enthusiasm and energy to push through and continue giving more of themselves to the audience, and to each other. 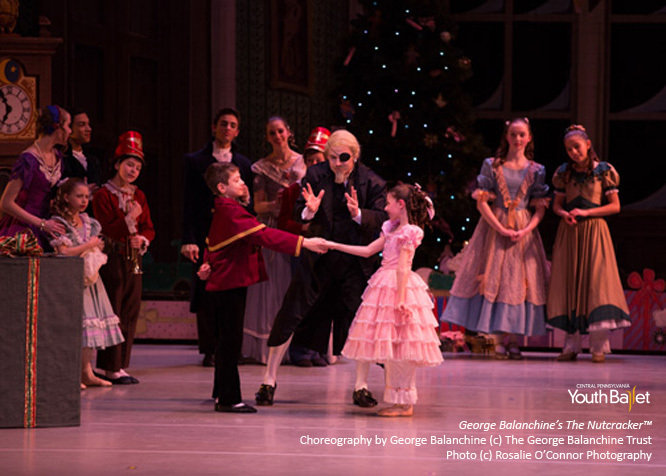 Year after year as Nutcracker returns, we dancers remember the desire and opportunity that come with this ballet: to fill adult and child hearts alike with an excuse to lose themselves in dance, music and dreams. I remember, after years of dancing in Nutcracker, actually watching a performance, as a theatre-goer, not as a dancer. I didn’t expect it to affect me the way it had when I was younger, before I experienced the less-than-magical side of it. But it did. Maybe more so than ever! I teared up. For two fleeting hours, I lost myself and the realities around me in the dance. And when I walked out of the theatre’s darkness into the street where cars and people rushed all around me, I would swear I felt that starry twinkle of imagination and hope dancing within my heart still. Guest blogger Riley Grace Borden is in her second year as a 2015-2016 full-time Central Pennsylvania Youth Ballet academic student.